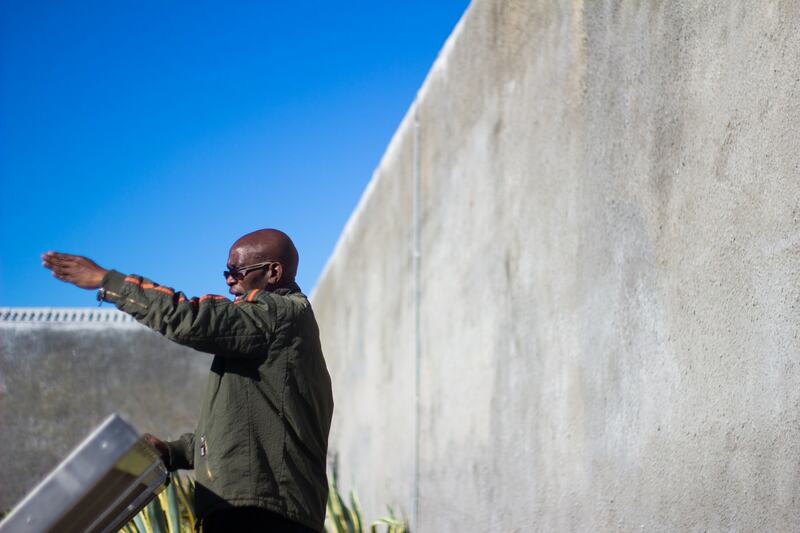 When I visited Robben Island, it was a bit of an interesting range of emotions that I felt. It’s actually quite strange. With somewhere so famously powerful as Robben Island, you almost feel as if you should feel some emotion, whether it be sadness, or anger, or even just sympathy. I could see it on the faces of lots of tourists on the island. Many of them had these looks on their face as if they were trying to feel something. Some even looked like they were acting. Some, I’m sure were experiencing real emotion. Me, I’ll be honest with you, despite the fact that I am disgusted by the way people were treated in South Africa during the apartheid era, the only thing I felt for the first couple hours on the island was slightly annoyed. After months driving through the heart of Africa and places like the Congo where no other tourists were found, I was surrounded by them on Robben Island. Moreover, I felt like I was being herded along and unable to actually explore. However, things changed when we met our guide in the prison, and old prisoner of the famous jail. Hearing his story put it all into perspective for me. It made it feel real, and his words allowed me to see Robben Island as if it were still full of prisoners. It was an amazing trip to the island, and though I wish they’d allow tourists more freedom to explore, I was very glad I got to see Robben Island for myself. Thanks for the vid, Brendan. Reminds me of the prison in Dili, Timor-Leste, although there are no tourists there yet. Definitely makes it more “real” when an ex-prisoner is there to share their story. We’re lucky to be visiting as tourists! Thanks for watching Dalia! God knows, I’ve visited prisons as a “guest” before too… haha.